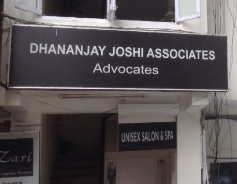 Are you sure Dhananjay Joshi Associates is closed down? Dhananjay Joshi Associates is listed in revaalo under Professional Services from Bangalore. Reviews, Ratings, contact details, services: . One of the best Advocates in Bengaluru. I would like to recommend them.